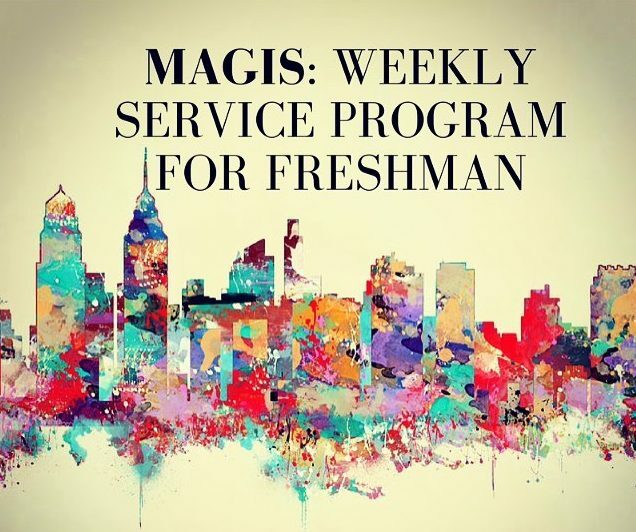 MAGIS is a service and social justice program for first year students. Each week, first year students meet in small groups for community service, social justice education, and reflection. Sign-ups happen at the beginning of each semester. Questions? Contact Katie Seibly at kseibly@sju.edu or Grace Davis at gd602240@sju.edu. Applications for Fall 2018 are due Friday Sept 8th in Wolfington Hall.